Please note: Pattern uses Rowan All Seasons Cotton in shades Navy and Pink, an alternative yarn has been selected, please complete a Tension Swatch. 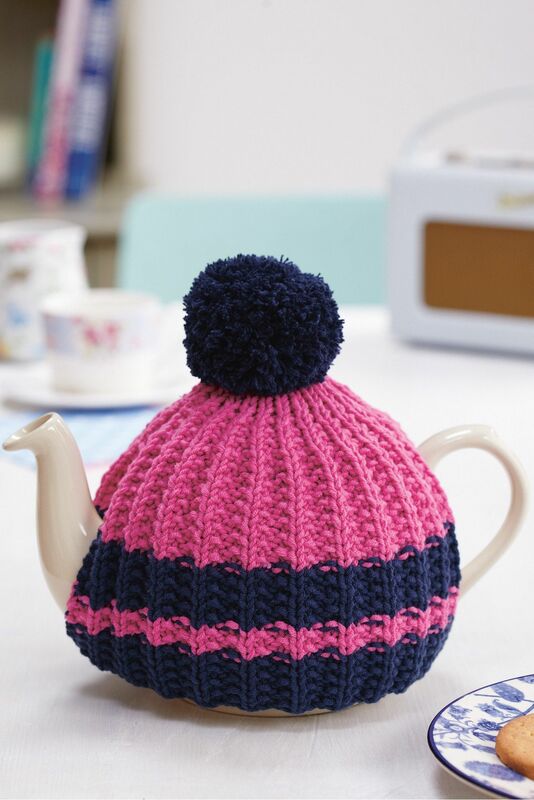 Knit yourself a top tea cosy in no time using our fun knitting pattern. A great make for those of you who are new to using needles, this teatime treat has the appearance of a bobble hat.